Join Joe and special guests from the musical Joseph in a night of smash hit songs from his upcoming new album Saturday Night at the Movies. 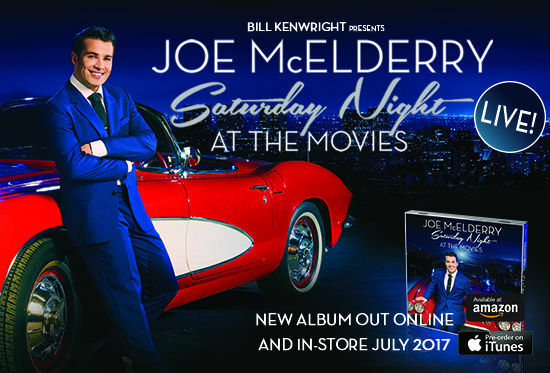 To celebrate the release of his fifth studio album Saturday Night at the Movies, Joe McElderry will embark on a Nationwide live tour, Saturday Night at the Movies Live, with songs from his new album and many more. Joe will be joined on stage by special guests, X Factor’s Sam Callahan* and Any Dream Will Do runners up Keith Jack and Ben James-Ellis who have featured in the musical phenomenon of Bill Kenwright’s production of Joseph and the Amazing Technicolor® Dreamcoat. Full of classic songs as well as brand new tracks to fall in love with including the iconic songs; Daydream Believer, Love is All Around, I’m into Something Good and the hit new single Gloria. Become a Friend of Bradford Theatres to save money and get priority booking!